Jakarta Governor Basuki “Ahok” Tjahaja Purnama shed tears when he read out his statement against prosecutors’ indictments in a hearing at the North Jakarta District Court on Tuesday morning. Ahok told the court’s judges that he has always had a harmonious relationship with Muslims. He attended Muslim schools, and he has Muslim friends who he considers his own family. Ahok further said it was Analta Amir, his Muslim brother, who paid his tuition fee when he got his Master’s degree at Prasetya Mulya University. 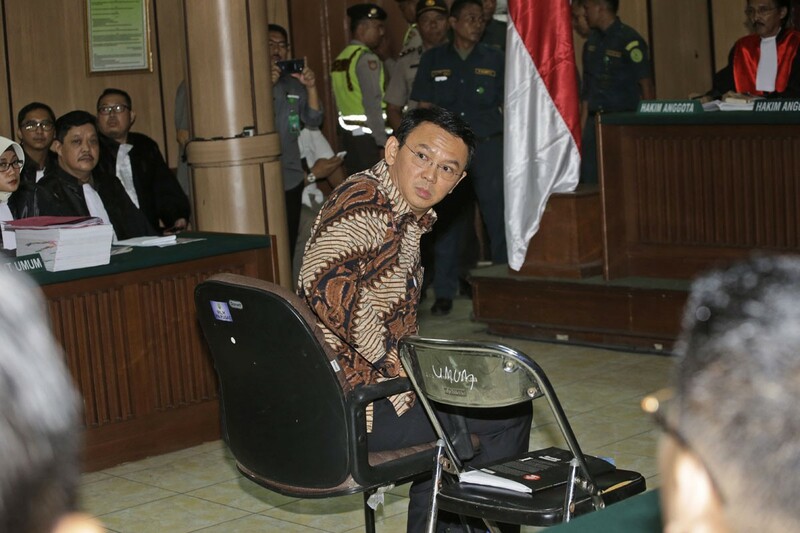 “I am so sad about being accused of insulting Islam because it means that I have defamed my own Muslim family whom I really love,” Ahok said, weeping before the judges. The non-active governor later mentioned several pro-Muslim programs, which had been implemented under his leadership as an East Belitung City Council member, East Belitung Regent and later Jakarta governor. Poor man! Indonesia is on its way to being ‘Pakistanized’!!! !